MELAS syndrome (mitochondrial myopathy, encephalopathy, lactic acidosis, and stroke) is a progressive neurodegenerative disorder caused by mutations in mitochondrial DNA. Mitochondria are the structures inside of our cells that are largely responsible for producing the energy that cells need to do their work. Mitochondria have their own DNA, which is always inherited from the mother. However, MELAS syndrome is often not actually inherited; the mutation in this disorder commonly occurs spontaneously. Because the disease is poorly known and can be difficult to diagnose, it is not yet known how many individuals have developed MELAS throughout the world. The syndrome affects all ethnic groups and both males and females. Affected individuals usually begin showing symptoms between the ages of 4 and 40. The prognosis is poor; the disease often is fatal. There is no cure for MELAS syndrome; medical care is largely supportive. 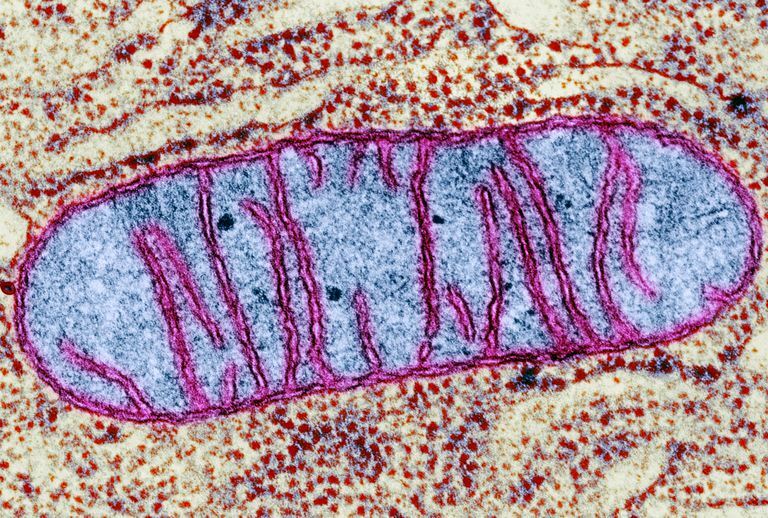 Because defective mitochondria exist in all the cells of patients with MELAS syndrome, many kinds of symptoms can develop, which are often debilitating. Strokes cause brain damage, leading to seizures, numbness, or partial paralysis. The encephalopathy (brain disease) causes tremors, muscle spasms, blindness, deafness, and may lead to dementia. Myopathy (muscle disease) causes difficulty in walking, moving, eating, and speaking. In many individuals with MELAS syndrome, a stroke, or similar symptoms such as headache, vomiting, or seizures, is the first clue that something is wrong. The first stroke episode usually occurs in childhood between the ages of 4 and 15 years, but it may occur in infants or in young adults. Prior to the first stroke, the child may be slow to grow and develop, have learning disabilities or attention deficit disorder. Tests can check the level of lactic acid in the blood and cerebrospinal fluid. Blood tests can check for an enzyme (creatine kinase) present in muscle disease. A muscle sample (biopsy) can be tested for the most common genetic defect present in MELAS. Brain imaging studies, such as computed tomography (CT scan) or magnetic resonance imaging (MRI), can look for signs of brain damage from stroke. Unfortunately, there is as yet no treatment to stop the damage done by MELAS syndrome, and the outcome for individuals with the syndrome is usually poor. Moderate treadmill training can help improve the endurance of individuals with myopathy. Metabolic therapies, including dietary supplements, have shown benefits for some individuals. These treatments include coenzyme Q10, phylloquinone, menadione, ascorbate, riboflavin, nicotinamide, creatine monohydrate, idebenone, succinate, and dichloroacetate. Whether these supplements will help all individuals with MELAS syndrome is still being studied. Scaglia, F. (2002). MELAS syndrome. eMedicine. Kaufmann P, Engelstad K, Wei Y, et al. Natural history of MELAS associated with mitochondrial DNA m.3243A>G genotype. Neurology 2011; 77:1965.